How to sync local AD to Azure AD with Azure AD Connect tool? 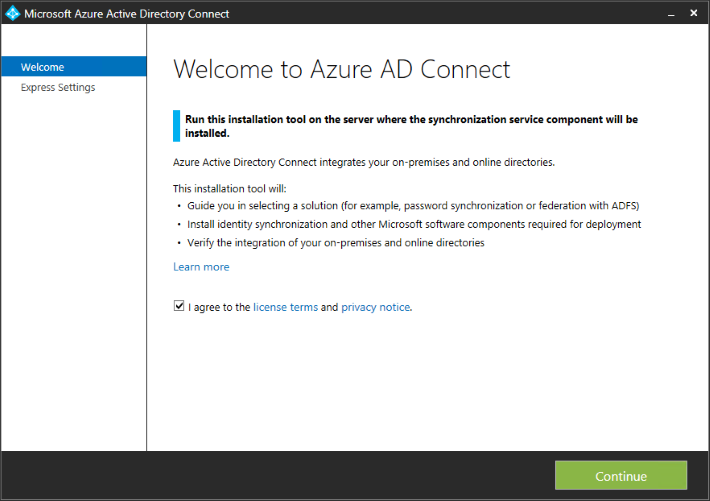 How to sync on-premises Active Directory to Azure Active Directory with Azure AD Connect? Synchronizing users’ identities between local and cloud directories is a great way to let users access different resources on both on-premises and cloud environments with just a single set of credentials. To achieve that, you need to use Azure AD Connect to integrate your on-premises Active Directory with Azure AD. 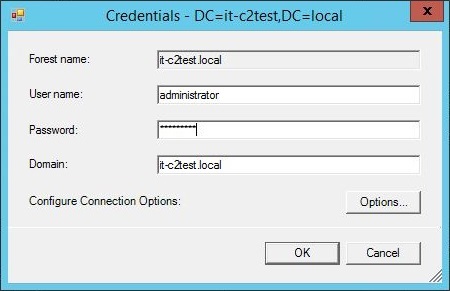 In this article, you will find some guidance on how to use Azure AD Connect to sync on-premises Active Directory with Azure Active Directory. 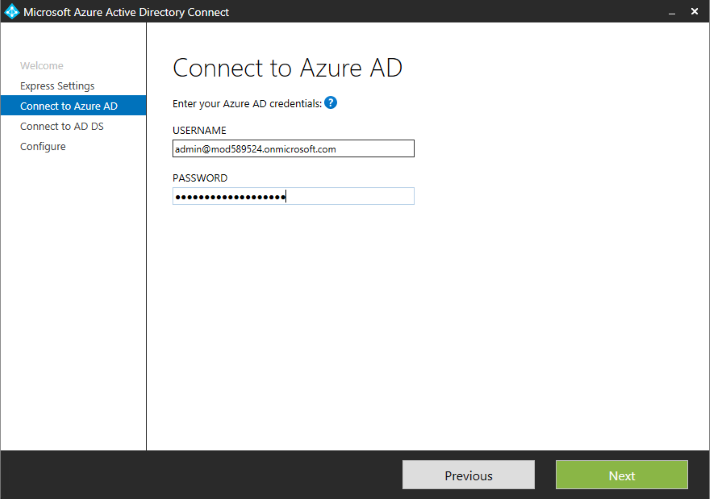 Azure AD Connect is a tool that connects functionalities of its two predecessors – Windows Azure Active Directory Sync, commonly referred to as DirSync, and Azure AD Sync (AAD Sync). 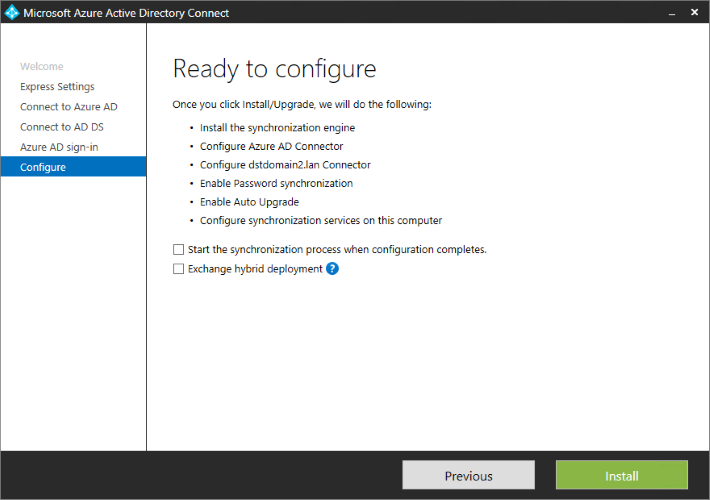 Azure AD Connect will be now the only directory synchronization tool supported by Microsoft as DirSync and AAD Sync are deprecated and supported only until April 13, 2017.
checked all the prerequisites. You can find out more details here. downloaded Azure AD Connect. You can download it from this Microsoft’s website. have a verified domain in Azure Active Directory – non-reputable domains (such as .local) may not sync properly. NOTE: Instead of a non-reputable domain, Microsoft recommends using a verified domain that seamlessly matches a verified domain in Office 365. If you have a non-reputable domain see this article on how to fix it. There are a few ways to install Azure AD Connect depending on your preferences. As the installation via Express Settings is perhaps the most commonly used scenario, I will use it as an example in this article. Express Settings is an option to go if you have a single-forest and use password synchronization. Once you downloaded Azure AD Connect, navigate to Windows Installer Package (.msi) and double-click on the file. In the Microsoft Azure Active Directory Connect wizard, agree to the license terms by checking the box. Click Continue. If you have a verified domain, the Use Express Settings option will be highlighted to go with. Click on it to start the configuration. If you are using a non-reputable domain, like .local, the wizard will recommend going with the Customize option. In the resulting window, provide your Azure AD global administrator credentials. Click Next. 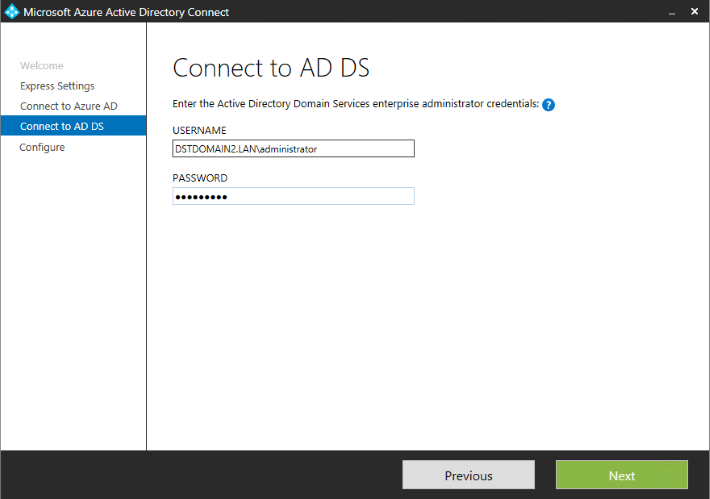 Now, connect to AD DS using your enterprise administration credentials. Click Next. 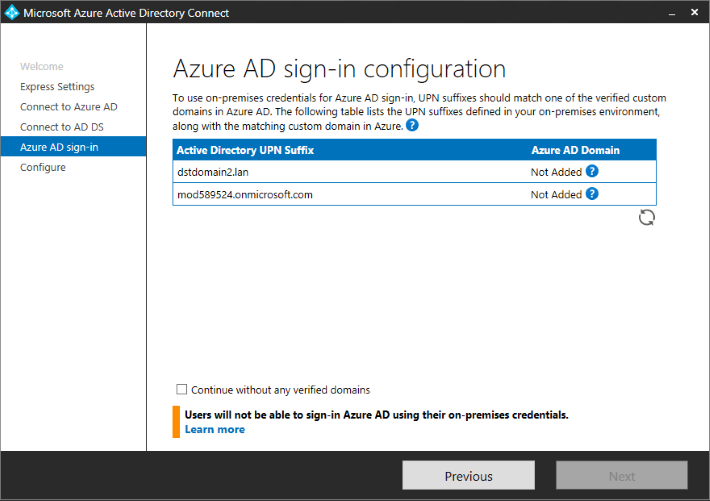 If you didn’t add or verify your domain in Azure AD, you will see the Azure AD sign-in configuration section in the wizard. Make sure that you followed this instruction to add or verify the domain. In the Ready to configure window, you can put some final touches to the configuration by checking or unchecking available options. In this instruction, I do not want the synchronization to start automatically, so I unchecked the “Start the synchronization process when configuration completes” option. If you unchecked the “Start the synchronization process when configuration completes” box in the Configure section in Azure AD Connect, you need to start the synchronization manually. You can do it via PowerShell. To customize the sync interval, use the HH:MM:SS format, e.g. 00:40:00 will set 40-minute sync cycle interval. Run the Get-ADSyncScheduler cmdlet to check your settings. The time interval you set should appear next to the CustomizedSyncCycleInterval parameter. 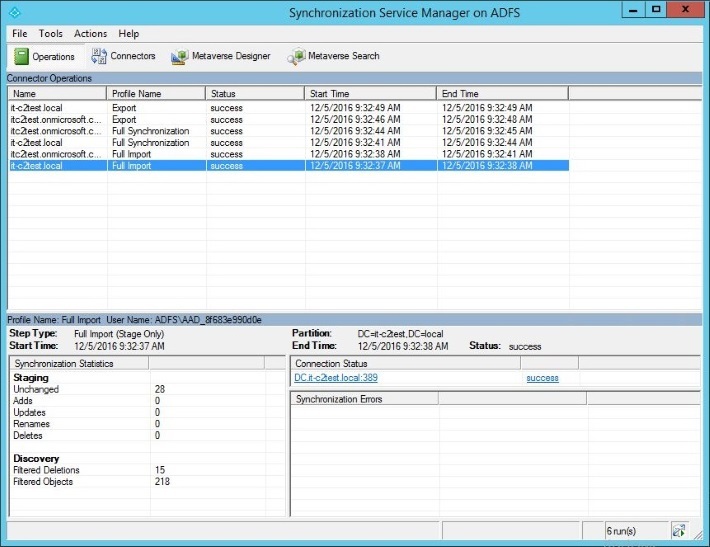 To open Synchronization Service Manager, go to Start menu and type Synchronization Service. It should appear under the Azure AD Connect. In the Synchronization Service Manager console, under Operations tab, you can monitor the synchronization progress. The upper part of the window shows ongoing sync cycles and the lower part presents what number of modifications is already synchronized. Sign in to Office 365 portal. In Office 365 portal, go to Users >Active Users to see, which users are already synchronized with Azure AD. 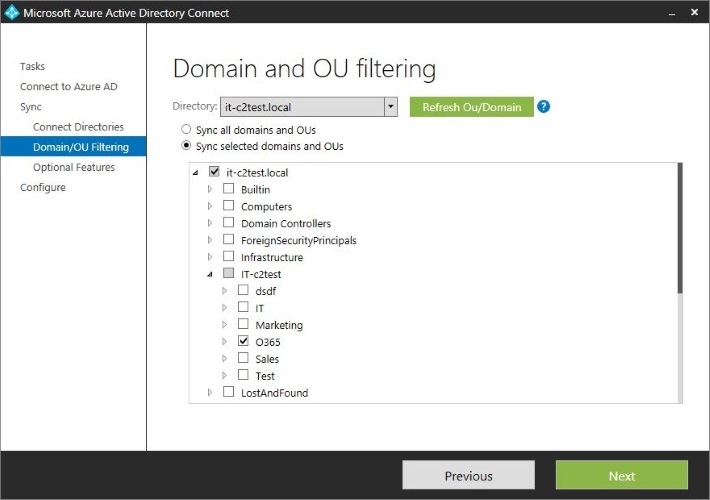 If you need to limit the synchronization to only selected Organizational Units (OUs), you can use the filtering option in Azure AD Connect. In the Domain and OU filtering section, unselect the OUs you don’t want to synchronize (by default all OUs are selected). Open Synchronization Service from the start menu. 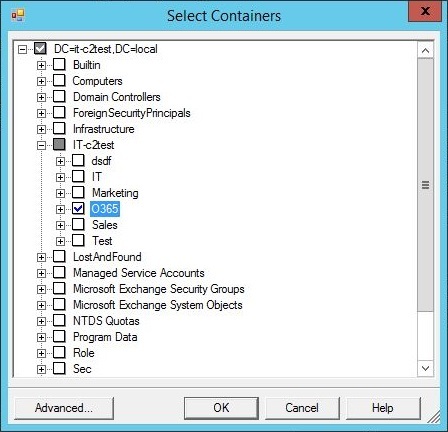 Right click on the domain of Active Directory Domain Services type and select Properties. In the resulting window, click on Configure Directory Partitions, select the domain in the Select directory partition section, and click Containers. Now you can unselect OUs you don’t want to synchronize to Azure AD. Click OK.
As a final step of this configuration, Microsoft suggests to verify the changes before exporting them to Azure AD. After you verify your configuration and accept the changes, go to Connectors. Right click on Azure AD Connector, then click Run. In the Run Connectors dialog box, select Export. That’s it! Now you have local Active Directory synchronized with Azure Active Directory and all changes made to on-premises AD will be reflected in the Cloud, as per your settings. Conversational Office 365 Migrations by JP Bruzzese (2nd edition) – get it for free! i create new server with AD, i want all people login to their computer using their office 365 password. Yes, Azure AD Connect allows you to sync Office 365 passwords to local AD thanks to the password writeback feature. I am afraid that you will not be able to simply sync users to the on-premises server, automatically. Unless something has changed recently, directory synchronization handled by AAD Connect is one-way only (that is, on-prem to the cloud). Your best bet would be to export users (including their properties) from Office 365, import those users to the on-premises server and configure the sync then. Here is an article which describes what to do in this kind of scenario. I wonder if anyone can help me? I’ve come to a new place of work where they have a local AD, and also Office 365, but the two currently are not sync’d – completely separate. The local AD domain is *.local, and the 365 domain is *.org.uk. User names in AD and 365 are the same, however, with the exception of the differing domain suffix. What we want to happen is for local equivalent accounts to be merged with their 365 counterparts, so that effectively, mailboxes will be preserved, and single sign on is achieved. Is there a way to do this? Thanks. AAD Connect syncs UPNs and passwords. To perform the directory synchronization, you need to change your primary domain in the on-prem Active Directory. As a matter of fact, in the article, I have included the link to a guide which should help you solve your problem: Prepare a non-routable domain for directory synchronization. 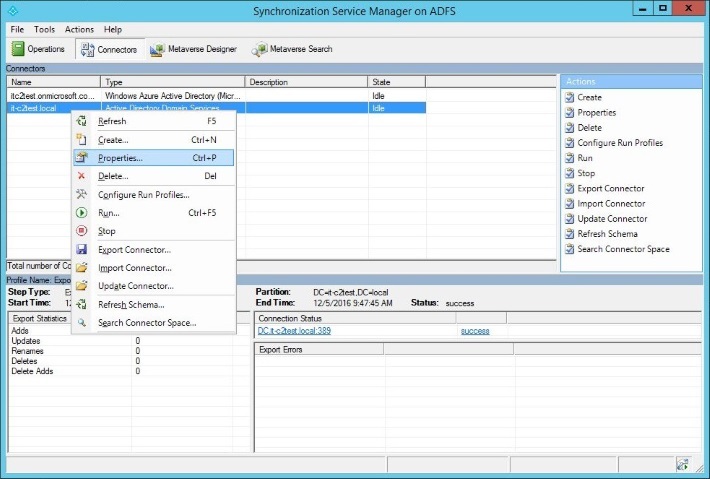 Yes, there is a free tool to synchronize on-premises AD to Office 365. It is called Azure AD Connect and, quite ironically, you have posted questions about this tool under the article which answers them all. I recommend reading through the article above and asking more detailed questions if you still have any doubts. After sync our On-premises AD users to the Azure AD,password sync done ,but now some of the members had ” rsp.onmicrosoft.com” not the custom domain they previously had. please provide solution asap. Have you configured the Office 365 tenant to use your custom domain? 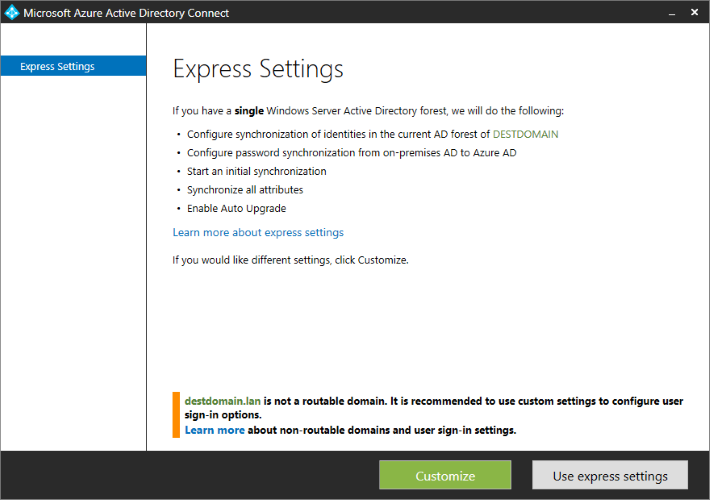 Here is an MS guide on how to do this: Change your email address to use your custom domain. Thanks for pointing out! I’ve just corrected it. as I understand it this would be a two-way-sync, right? Could you confirm that the following scenario is possible using AD Connect?